On our very first night in Austin, we met the nicest cab driver who was like our very own tour guide. During the ride from the airport to the hotel – he gave us some background, told us where to go, what to see and where to eat. 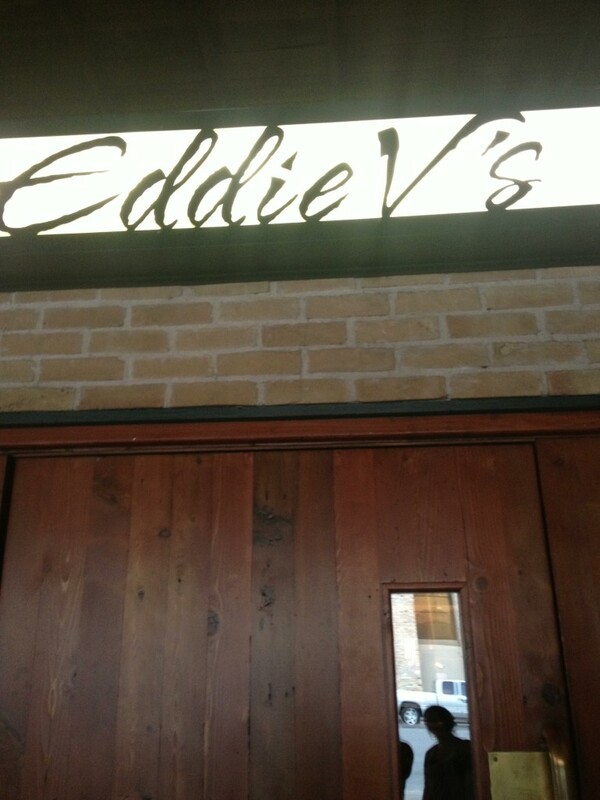 He highly recommended Eddie V’s for their amazing happy hour and great seafood so we went ahead and made a reservation on our last night in Austin. The restaurant was a lot larger than I had expected – it looked pretty run down from the exterior but the interior was very nice. 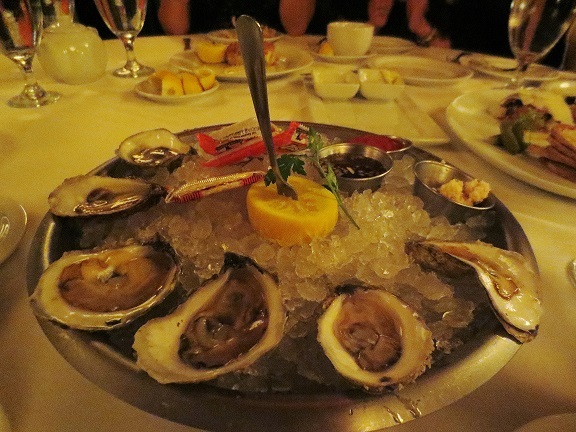 I can’t remember what kind of oysters these were and it was delicious! Very fresh and tasted just like the sea. Yumm… They are $1 during the Happy Hour on Sundays and Mondays. 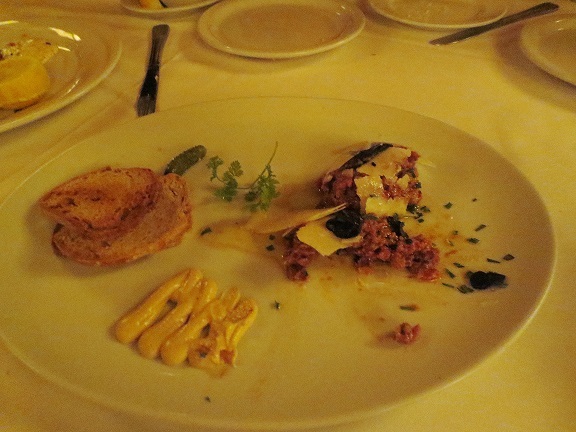 The steak tartare was not bad – I didn’t quite get much of any truffle and it had a tad too much mustard. That said, the quality of the beef was great. 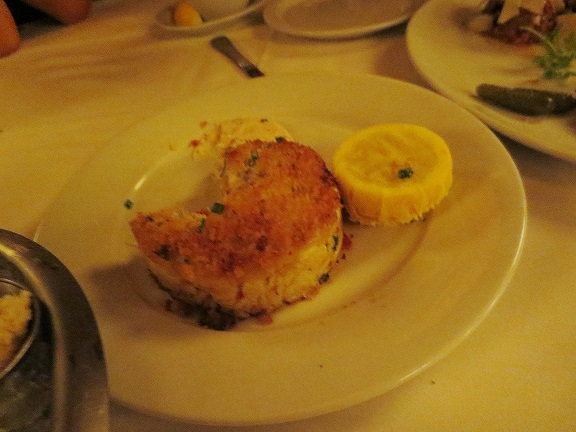 I loved the lump crab cake! It was definitely packful of crab without much breadcrumb fillers. Well seasoned with a nice crisped exterior – the chive remoulade was creamy and rich which went well with the salty crab chunks. Best dish of the night hands down! The seabass literally fell apart the moment my fork touched it and it was so delicately seasoned and just so well balanced and delicious. 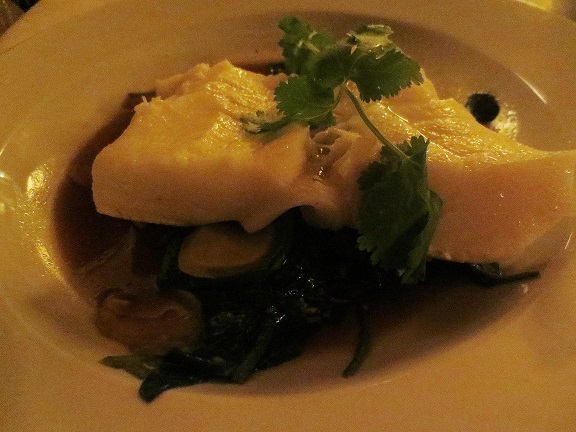 The fish was steamed to perfection – and the light soy broth and chinese broccoli went well with the crab fried rice we ordered. 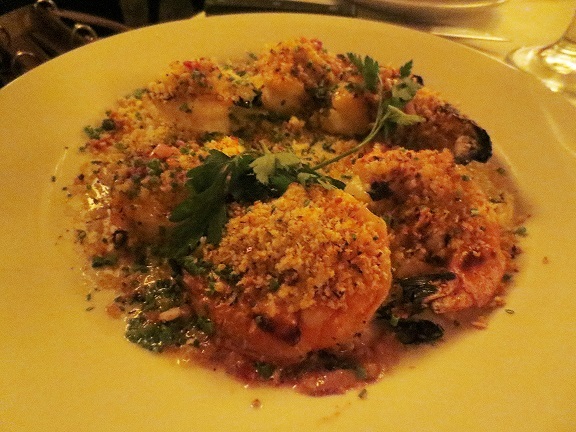 I didn’t care much for this dish – the shrimp was completely crusted with herbed bread crumbs. It was tad over done for my liking and this plate definitely had too much going on. 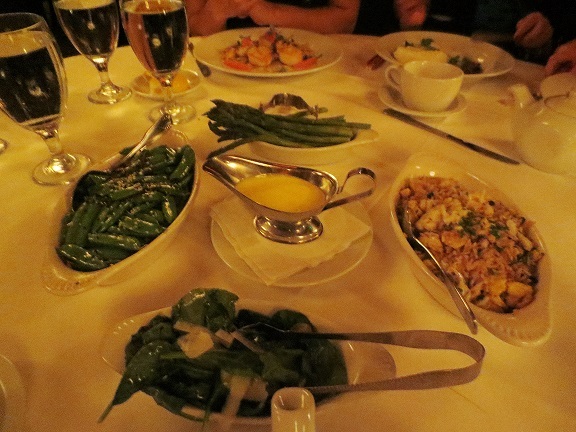 The vegetable sides were nothing spectacular and a little bland so none of us were really wowed and we didn’t even finish the dish. However that crab fried rice was spectacular – the flavours are very much asian inspired with hints of soy sauce, scallions, mushrooms and some lump crab. Really tasty! Not bad. 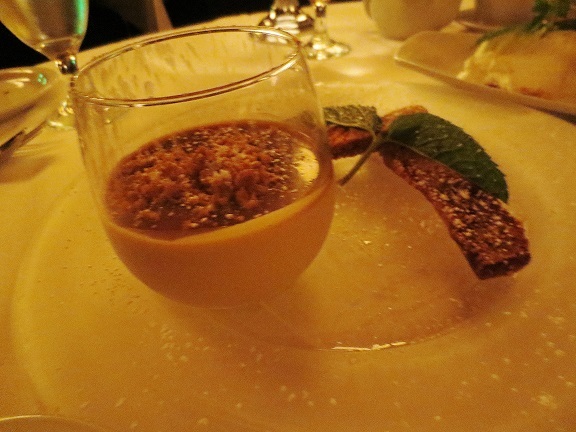 The biscotti was hard to eat without coffee but the panna cotta itself was not bad – smooth and creamy. I don’t care much for caramel so I only had a couple bites. 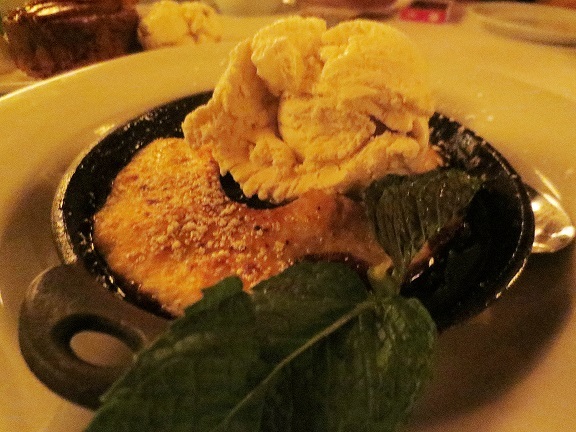 The cobbler was served with vanilla bean ice cream. It was very tangy with a nice crust. I am not sure how much I like cooked blackberries though. The banana foster cake was highly recommended by our server and we quite enjoyed it. 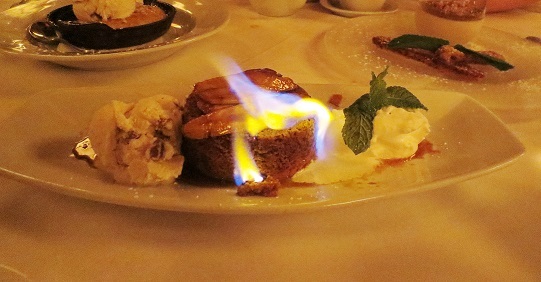 It was served flambe, with rich butter pecan ice cream. The cake was rich, dense and sooo tasty! 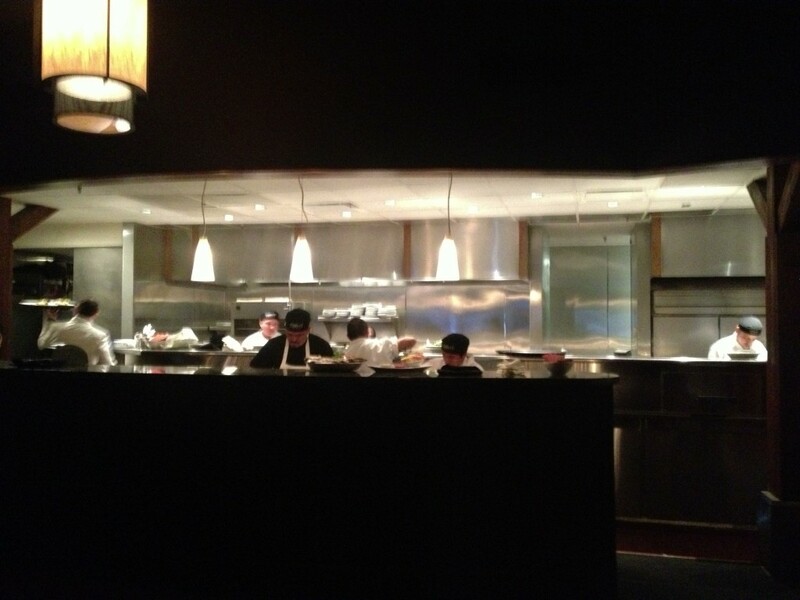 Overall experience in the restaurant was pretty good! 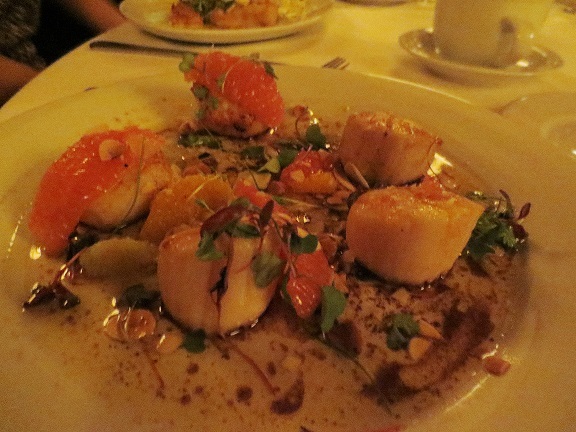 The atmosphere was pretty formal, with a dimly lit dining room – perfect for dates/anniversary dinners. 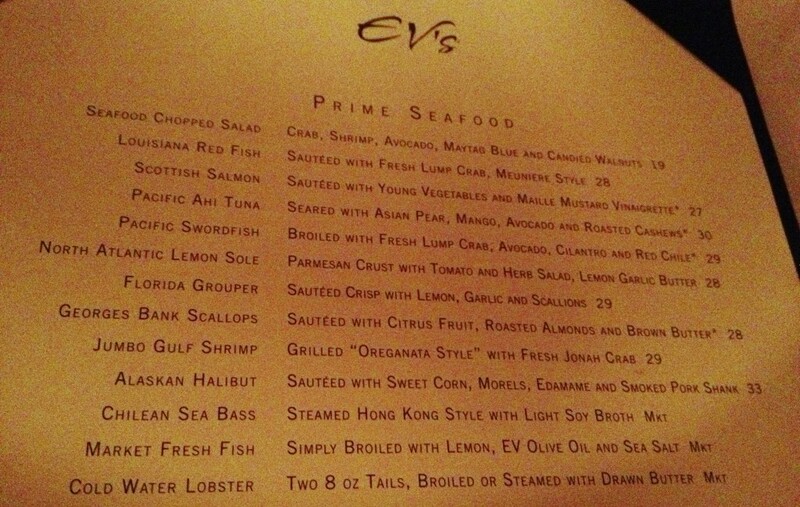 It is definitely a pricey restaurant, especially for what I have had in Austin but the meal and as a whole was pretty good! 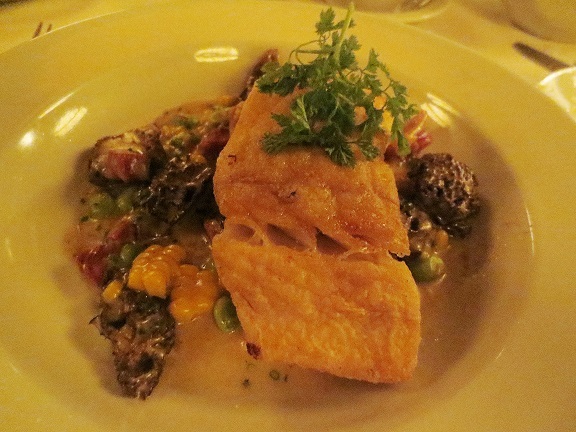 Not all the dishes were a hit but the ones that we enjoyed – they were amazing! 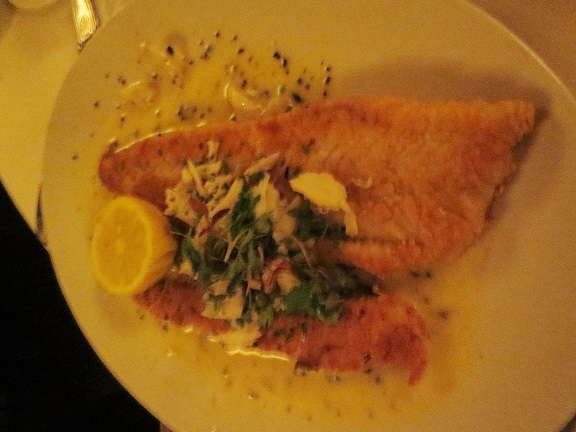 Service was good – we had to wait a little even though we had a reservation but once seated – orders were taken and food was served pretty promptly.